Getting a job in GSRTC is relaxable Job There is a lot of salary hike available for the Gujarat Conductor Job. So, it is difficult to crack the Job. To make your preparation easy to get Gujarat Bus Conductor Job, these preparation tips help you which are given below. During Exam preparation, these GSRTC Preparation Tips help you. You can also make a check list of points you want to focus more on the topics. 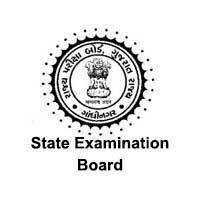 State Examination Board (SEB) has published Khatakiy Exam Provisional Answer Key for Departmental Exam February 2018, Check below for more details. SEB Departmental (Khatakiy) Exam Provisional Answer Key Februari 2018 :State Examination Board ,Gujarat has published Provisional Answer key for Departmental (Khatakiy) Exam July 2016.this exam was held in 10-02-2018 & 11-02-2018. The answer key for the same has been published and is available online. you can view answer key from official website www.sebexam.org or below link. The Gujarat high court conduct the bailiff and process server written exam on 19th november 2017. Here we share Answer Key from the official website. So, It is fully official information. if you want to know more information then you will visit the gujarat high court official website. All the candidates who have given exam can download the High Court Bailiff Exam Provisional Answer key Question Paper Set 1, Set 2, Set 3, & Set 4 along with its paper series A, B, C, D. Thus, all the candidates can check answers of the Exam. Recently, Ojas Online Job Application System releases Provisional Answer key & Result Declared, Candidates will be able to check Expected Cutoff Marks, Merit Marks, Selection List, Waiting List, etc. details will be available on this page. All the candidates are requested to visit this page to get latest details about Gujarat High Court Bailiff Exam 2017. 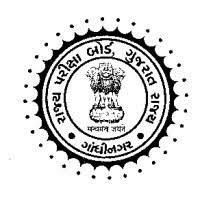 High Court of Gujarat Sola (HC-Ojas) published latest Recruitment Bharti 2017 notification for the Class-3 Post of Bailiff/Process Server with reference to advt. no. RC/1434/2017 at Ojas High Court website hc-ojas.guj.nic.in and other details on www.gujarathighcourt.nic.in. Gujarat High Court Invites Online Application for the Bailiff Post for 12th Pass Candidates are Eligible for this bharti at hc-ojas.guj.nic.in. Online Application Starting from 01/08/2017 to 30/08/2017. So, Interested & Eligible Candidates may apply online HC Ojas Bailiff Post before read full official notification and other details e.g. name of post, no. of post, education required, age limit, selection process, how to apply, important date, pay scale and official notification for Recruitment of Belief / Process Server as mention below. 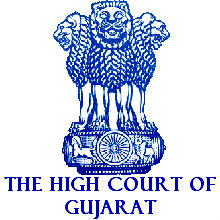 High Court of Gujarat Bailiff Process Server will be composed soon by High Court of Gujarat. The Syllabus assumes a key part in the planning time. To score great checks in composed test wannabes need to design their arrangement as indicated by the syllabus. For the comfort of the competitors, we are giving the High Court of Gujarat Bailiff Process Server Exam Pattern and every one of the points of the syllabus, for example, General Knowledge, Reasoning, Aptitude, English. So hopefuls are encouraged to experience the given data in the beneath of this article. Gujarat Gaun Seva Pasandgi Mandal (GSSSB) has published Revised Final Answer key for the post of Assistant Storekeeper (Advt. No. 110/201617), This exam was held on 10-09-2017, Check below for more details. 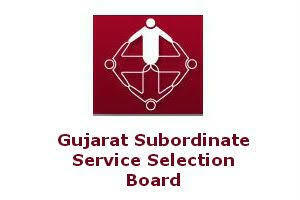 Gujarat Subordinate Service Selection Board (GSSSB) is going to recruit candidates for Post of Assistant Store Keeper. Here you can find the syllabus for the exam that will be conducted for the recruitment of above said post. Candidates have to qualify in Competitive written test after passing the written examination. Gujarat Gaun Seva Pasandgi Mandal (GSSSB) has published Final Answer Key for the post of Female Health Worker (FHW), Check below for more details.